Crystal Windows serves to connect high quality window service experts with people who are searching for the service. We conduct a series of quality and trade assessment tests for window service operators in the UK to ascertain their value for recommendation on our website. For us to recommend a bay window service provider on our website, we have to visit the business location. There, we verify their abilities and the quality of production material, and their processes. We also interview the staff, technicians and customers who receive the service. Our process is a very comprehensive one, and we do this to ensure we list competent professionals who will deliver as they promise. Usually favoured for their classy design, bay windows are the result of combining three or more windows together so they are projected beyond the house wall. Home owners, builders and contractors can get efficient bay window services from our network. We provide professionals who are both experienced and qualified in their craft. You are also assured of quick response times, expert maintenance services and a consultative approach. The trusted bay window companies we feature also carry comprehensive insurance policies and offer real guarantees, meaning you can engage with them with peace of mind. Bay windows are attractive features in any home, whether they are old or new. But experience has revealed that the walls and lines of the structures are hardly straight. Installing shutters into any bay window involves specialist product design and installation procedures. Installing shutters for bay windows can be very complex, but specialist operators have equipment and the competence to handle the intricacies involved. Crystal has a guaranteed list of bay window specialists who understand the procedures and will install your windows in a cost-efficient way. 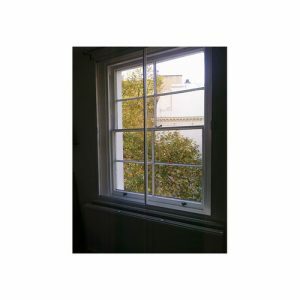 If you have a faulty window lock, a draught gap or simply want to enhance your bay window for energy efficiency, look no further than our thoroughly vetted professionals. Refurbishing your old windows will go a long way to save you costs in annual utility bills. Note that you can only repair bay window sills if they damage to the wood is no deeper than a quarter inch. If your bay windows have rotted beyond the depth, you will require an outright replacement. The process usually begins with a full inspection (some companies offer this service for free). Whether it is for a residential property or a commercial one, you will get a trusted service to deliver completely. At Crystal, we encourage you to do a proper comparison on the website so you can improve your chances of identifying the right service. While you compare the services available to you, there are specific features to focus on which can help you choose wisely. Call a few specialist companies and request a free quote for your requirements. Compare prices and the service you receive and go with the company that you are most comfortable with. 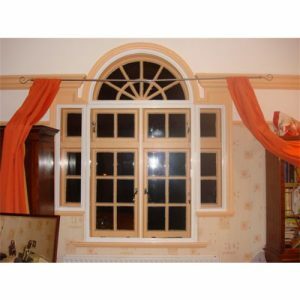 Get searching our trusted bay window companies now.